Sign-up for our newsletter to get notified about our new cookery courses and latest news. The top five knives everyone needs in their kitchen. This is the knife that is used most in the kitchen – I would go for an 8” – 10”/20 – 25.5 cm blade. 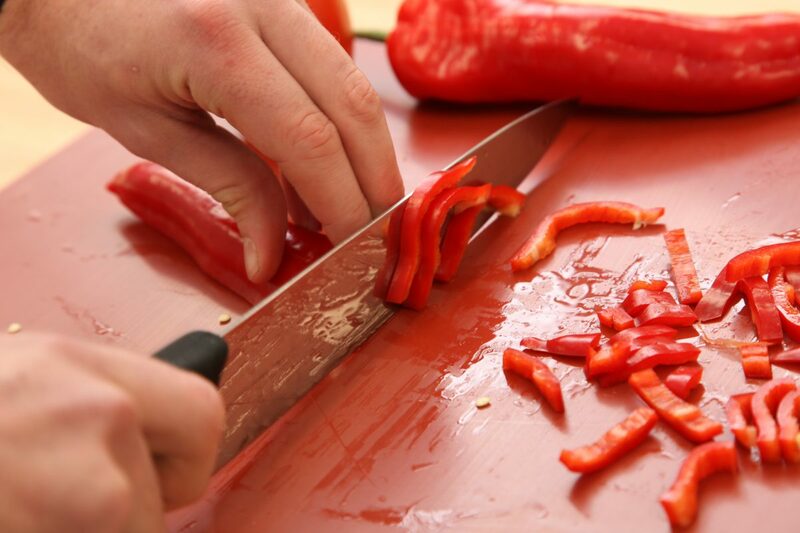 The larger the knife the quicker the chopping process will be, but if it is too big it can be unwieldy. The blade should curve from the heel to the tip so that when chopping or mincing it will rock easily. Look for knives that have a good grip and that feel good and well balanced in the hands. You don’t have to spend a fortune on these there are perfectly good chef’s knives available for £30 upwards. The important thing is to make sure you keep it sharp. There are a variety of these knives around and you could go for a 3”/ 7.5cm or 4”/10cm blade. The knife will taper to a point and it can have a heel, like a miniature chef’s knife, but it doesn’t have to. The ones that look like a bird’s beak with a curved blade are good for intricate work and are also useful if turning or carving vegetables. The small knives with a straight blade, and no heel where the blade meets the handle, are probably the easiest to use for most peeling and paring. This type of knife is also good to use for boning poultry. This looks like a chef’s knife except the blade is slimmer and is very flexible. Most of these blades are from 6” – 8” / 15 – 20cm in length. It is important that when you press sideways on the knife the blade flexes well as this will enable you to fillet a fish neatly. This is sometimes called a fruit or tomato knife. The blade is usually 5 – 6” / 12.5 – 15cm long and has a very sharp edge. It is useful for preparing fruit, for example segmenting oranges, peeling pineapples and mangoes and it will also cut through tomato skins without squashing them. Be careful with these knives though because when they are new they are the ones you are most likely to cut yourselves on! A palette knife should be very flexible and come in a variety of sizes. If I had to choose one I would go for a 8”/20cm blade but I have them as small as a 4”/10cm blade. The palette knife is used as an aid to rolling pastry to make sure the pastry is not sticking to the worktop. It is also used to lift biscuits and cakes off a baking sheet, to flip pancakes and to turn smaller fish fillets in a frying pan. This is the idea knife for spreading icing and jam on cakes. With all the above knives you must have a good sharpener or steel. There is a variety on the market but you need one that is appropriate for the type of knife you have. Remember that all the knives, apart from the palette knife and serrated knife, should be sharpened every time they are used. Welcome to the award winning Edinburgh New Town Cookery School. Situated in the heart of Edinburgh’s city centre, the school offers courses that will put every student on the right path to becoming a successful cook. The diverse range of courses offer something for every level of ability, from chefs to homemakers and students to food enthusiasts. 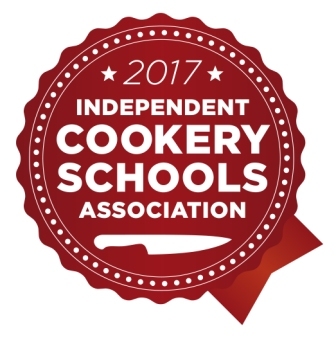 A practical, professional approach will give students the skills to cook with confidence.